Do you know all the possibilities for expanding your wealth? Your wealth in the future? Do you know all the possibilities for expanding your wealth? Or are concerned that you might have missed out on something - so far? 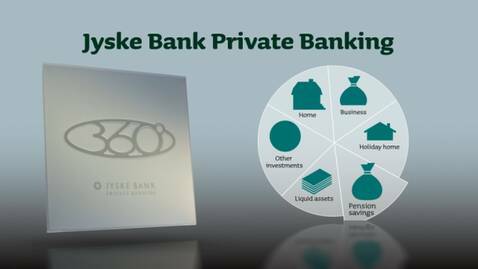 If you have at least DKK 2 mio/EUR 150,000 invested in Jyske Bank Private Banking, you can have a wealth plan prepared and get an overview of all your possibilities. Wealth plan is a service to investors with complex finances. Do you want to protect your wealth? Do you intend to spend some of your wealth? Do you intend to increase your wealth? Do you want to plan for succession – to pass on your wealth?